Our wonderful, loving mother, sister, grandma and friend, Edna Beth Workman Atkin, (Beth) passed away April 11, 2019 in Tooele, Utah at the age of 93 surrounded by her loving family. She was born January 1, 1926 in Delta, Utah to Edna Horne and Meltiar Hatch Workman. Beth grew up in Delta and attended college at Utah State University where she met her eternal companion, Willard G. Atkin, Jr. Beth and Willard were married in the Manti Temple on April 9, 1947. Their union was blessed with 8 children; Willard Kent (Niki), Barbara Ann Lay (Henry), Kenneth Dean (Deone), Marilyn Beth Spencer (Ken), David Ray, Doug Scott (Karen), Richard Lee, Lauralee Nebeker (Kris). Beth was preceded in death by her spouse Willard, two sons; Richard Lee and David Ray, son-in law Ken Spencer, daughter-in law Niki, and 2 great grandchildren. She is survived by 6 of her children, 28 grandchildren, 60 great grandchildren, and 5 great-great grandchildren. Beth was a friend to all. She had a great capacity to love others and find something unique about each person. She made everyone feel special. She never forgot a grandchild’s birthday. They could depend on a card filled with love arriving from Grandma Atkin. She had a strong testimony of her Savior, Jesus Christ. She was an active member of the Church of Jesus Christ of Latter- Day Saints. She served in many callings, touching many lives for good. Some of her callings included Ward and Stake Relief Society President, Primary President and other auxiliary callings. 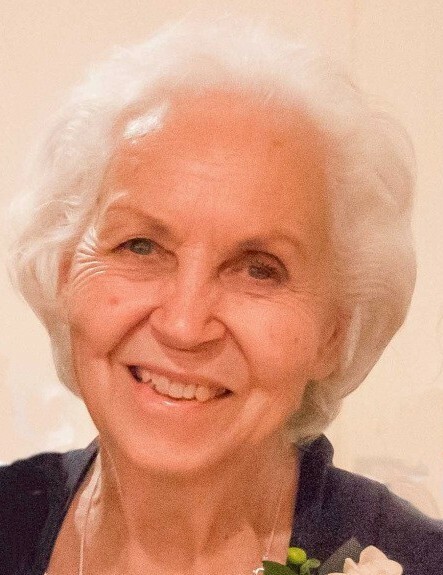 She and Willard loved serving together as ordinance workers in the Salt Lake Temple and as tour guides in the visitor’s center in the New York, Manhattan Mission. She was a member of the Utah Daughters of Pioneers where she served as both Camp and Company President. She supported Willard in the Utah Sons of Pioneers and lovingly cared for him until his passing. Beth was actively engaged in her community and participated in many organizations and continued to study the gospel through institute classes. Beth was a talented quilter and seamstress making many beautiful articles of clothing for herself and her family. She enjoyed being a member of the Tooele County Quilt Guild. She was a passionate gardener and worked to make her yard beautiful right up to her last days. She loved the home Willard built for her and was adept at beautifying it. Beth loved music and had a beautiful voice. She shared her love of music with her children and grandchildren. Mom will be dearly missed by all who knew her. Services were held Monday, April 15th at the LDS Church located at 180 South Coleman, Tooele, Utah. Internment was at the Tooele City Cemetery. A special thanks to Dr. Al Parker for his extraordinary measures in providing care, comfort, and peace as our mother passed.